The Front Poarch | Let's make beautiful things. At the beginning of this year, I let you into the deepest, darkest, most disastrous places in my house: storage areas, and my need for them to function on a higher level. Today I’m back to share one space that I’ve organized and has served it’s correct function for several weeks. So the purge began. I took everything off of every shelf, sorted each item and deemed it as trash, fabric to be folded or a sewing supply. I read a TON of tutorials online about how best to store fabric and I ended up with these, Ultra Pro Comic Series Boards. They worked like a charm. At first, I was afraid they would be too thin but once I got to rolling, they did the trick. I took each piece of fabric and folded it to be a long, narrow piece that was just narrower than the boards. Then I started at one end and ‘rolled’ the fabric over each board. When that was done, they were stored vertically on my shelves and I was done! I also added some bins along the way to store sewing supplies, fabric scraps and upcoming projects. This space has been functioning in this was for a few weeks and now and I have to say, so far, so good. I find myself wanting to work in this space and not being stressed by the overwhelming clutter. I’ve completed several projects and am looking forward to many more! What space in your home needs the most functionality update? I painted my living room. Shortly after I wrote this post, I realized that the following weekend was a 3-day weekend because of Martin Luther King Day. I jumped at the opportunity and set to work. The color winner was not one of my original choices, but I really do love it. It’s Valspar’s La Fonda Mirage. And so, prepare yourselves, here’s the photo dump. My first Ikea Hack has a new home next to the candy bar. And the best part? Now I have the blank canvas next to the entry way. 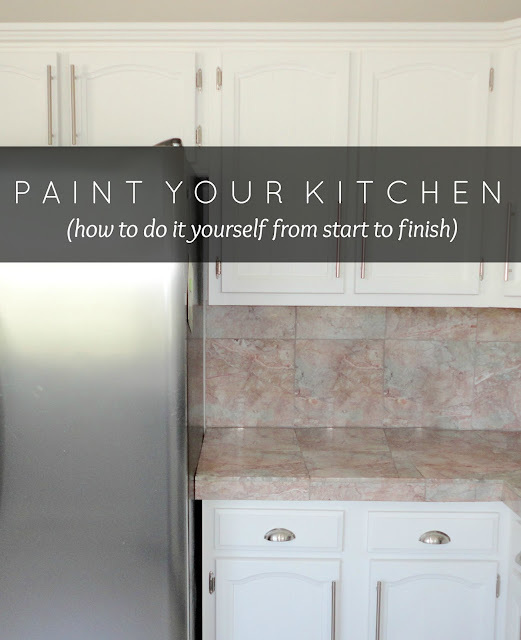 . .
Last week I told you that I’ve dreamed up an entire kitchen renovation, which stemmed from a leaky faucet on our kitchen sink. And dreaming is exactly what I’ve been up to. . . Ever since I started thinking about going white I’ve been itching to get the paint out and over haul the whole thing. and how to make your own countertops from concrete and recycled glass. 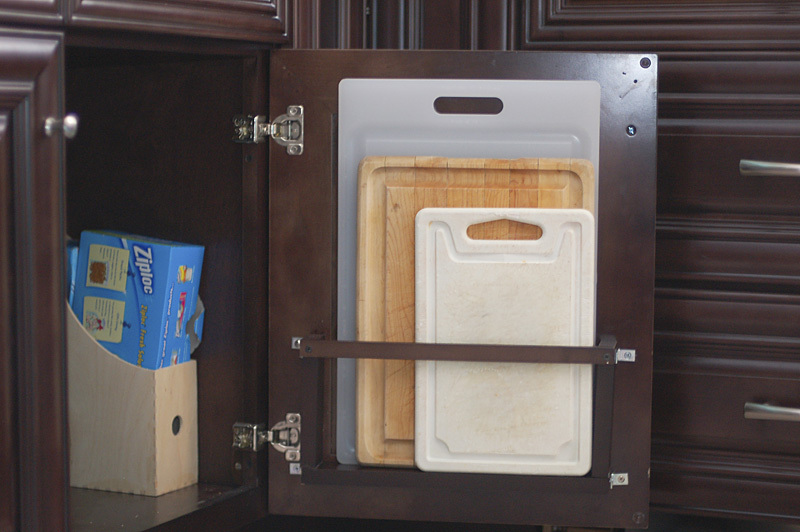 As well as building custom drawer organizers, under the sink storage and vertical storage for baking sheets. You know, as well as new light fixtures, hardware and a backsplash. No biggie. To say that we hope to accomplish this task soon would be a lie, in fact our greatest hope is to complete it in 2014 so I think slow and steady will win this race. We have plans to break the re-haul down into manageable chunks, the first of which is a trial run on the smallest piece of countertop between the stove and the door to the garage. We are back from my brother’s wedding weekend and I am just getting over a cold that had me out for a good part of this week. It’s always amazing to me how much a little cold can really take it out of you! The wedding was beautiful, classy and all around elegant affair and we couldn’t be more excited to welcome Elizabeth into our family. When Phillip and I moved into this house, almost 2 years ago (where did the time go???) we knew that we were getting a house with a lot of character. If you own an old home, you know that sometimes ‘character’ really just means nothing ever works the way it’s supposed to. Let me introduce you to the kitchen sink. At first glance it looks pretty functional but if you take a closer look you’ll see that in fact the faucet leaks. Every time you use it. Annoying. So, like logical homeowners, we replaced a few seals and like most things in an old home, the problem still persisted. Typical. Around this same time, I noticed a beautiful white porcelain sink on Craig’s List that was in great shape and very reasonably priced. ‘If we’re going to replace the faucet, we might as well replace the sink while we’re at it.’ (I’m not a big fan of stainless.) FAMOUS. LAST. WORDS. You already know where this is going, don’t you??
. . . and if you give a mouse a cookie, he’s going to want something to drink. Sorry for the word vomit but, I’ve been dreaming and making plans and I’ll be back next week with more details! That’s right, you read correctly, I’ve already got 2014 Christmas plans in the works. You see, in my family, each ‘kid’ has an elaborate Christmas stocking that looks something like this. Since Phillip joined our family almost 5 years ago I’ve felt bad that he hasn’t had a ‘matching’ stocking and with the soon-to-be addition of my sister-in-law Elizabeth, I decided to take the plunge and make one for both of them. I ordered a kit for each one of them and I’m starting now with the goal of having them completed by Christmas. I feel like it is a bit lofty but still attainable. To keep things organized, I purchased a small, shoe box sized plastic bin for each kit. There are THOUSANDS of tiny pieces!! So wish me luck and I’ll keep you posted! Let’s talk a walk down memory lane shall we?? This was our living room right after we moved in, almost 2 years ago. Tan, tan and plaid = BORING. We’ve made LOTS of improvements since then like purchasing a new couch. . .twice, as well as painting the walls a neutral blue color and adding an entertainment center. When last you saw it, the room looked more like this. . . .and it still looks that way today. I’ve been dreaming of going white but still haven’t quite been able to pull the trigger. So instead, I’ve been buying random paint samples and creating my art on my wall. Now here comes the really honest and pathetic part; most of these samples (you know, all 7 of them) have been up. . . SINCE AUGUST. Hi, my name is Leah and I can’t commit to a paint color. So, I’ve decided to take a step back and revisit my original inspiration. Behold the peacock feather. Here’s how I see it in my space. So not to make any promises or anything but I think it is safe to say that at some point, in 2014, I will paint my living room. . . I hope. . . . I started with this SMYCKE Wall Clock, which I’d been eyeing for sometime. This particular clock is pretty cool to begin with because it’s made up of small, hexagon plastic tiles that can be configured to any shape. It comes with a set of connectors that allow you to freely join different pieces together. For this hack I wanted to change up the color scheme of the tiles so I selected a few from the original set. 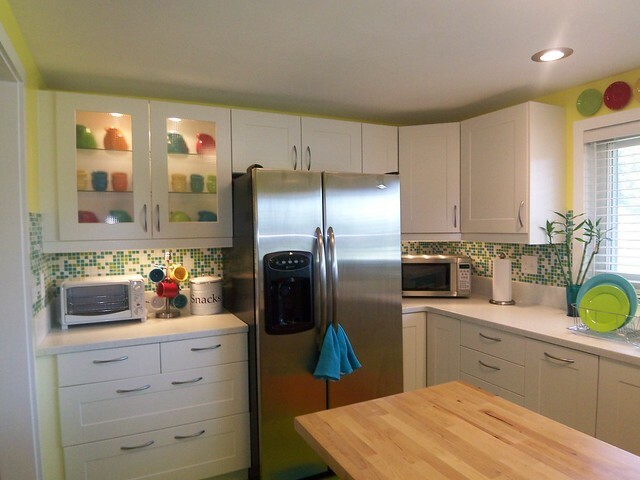 I chose to keep the white, green and a few of the gray tiles as-is. Since I already had lots of regular spray paint in my stash, I purchased this Valspar primer for plastic and it worked like a dream. Each tile then got a coat of a different shade of green, blue or purple. Once they were dry, I sat down on a sunny afternoon and set to work. I began by laying out the tiles and playing with the arrangement. . .
. . .however, I soon attracted some unsolicited help. Once I had a layout more or less complete, I started piecing the back together and pretty soon . . .
. . . the clock was complete. If you’re anything like me, you’re probably still trying to recover from the holidays. By this point, most of my decor has been put away and as I mentioned last week, I am working on improving my storage spaces. Do you have a designated way you store wrapping supplies? I’ve used a method for the past 5 years and I have to say, it works wonders. I seem to collect very little actual wrapping paper, only 1-2 rolls at a time, but bows and boxes and tissue paper?? I’ve got them coming out. my. ears. It gets a little out of control. So are you ready for my big secret?!? Here it is! Yep, that’s right, it’s a large gift bag! But wait, there’s more. . .
What may initially appear as a large bag full of wrapping stuff is actually a well thought out, time-tested storage system. 1. In the back of the bag, store gift boxes. They fold flat and are a great go-to for odd shaped gifts. 2. In the middle, gift bags. They come in all shapes and sizes and are great for every occasion. 3. In the front, tissue paper. All shades are welcome here, but for me there’s no replacement for classic white. 4. Last but not least, the cherry on top. The finishing touch, the bows, the ribbons, the tags, the little things that make gifts look extra special. At the end of the day the whole bag hangs on a hanger in my craft closet. Now, I know what you’re asking. . . what about the wrapping paper? It leans against the wall just beneath the bag. How do you store wrapping paper? Are you ready for our first transformation of 2014?? That plain-jane rack-card kiosk in my dining room finally has a new look! Technically I finished this project late last year but what difference does it really make? Am I right?? Last year a friend gave me this display kiosk that she’d picked up at a store closing sale. I had lots of great ideas about how to use it but none of them ever really seemed to win my heart. It was always one of those, ‘Well, I could put pictures in it. . . or maybe I’ll save cards that we receive. . . or MAYBE invitations to events. I love invitations and they’re always so pretty!’ Round and round I would go, never really making up my mind. One day, as I walked in the door from work, I checked the mail saw this card we’d received from the water project and popped it in the kiosk. It was in that moment that I knew. The next free evening we had I went to Lowe’s and scoured the spray paint aisle. My initial moment of inspiration said ‘go for the gold’ but standing there looking at gold I knew it was all wrong. I pulled and audible and went black. Man oh man, I’m sure glad I did! So needless to say, I’m kind of using it to display a conglomeration of our lives. . .pictures, invites, cards, etc. (you know, like every single idea I’d previously had) but somehow against that beautiful black back-drop it’s all more wonderful that I could have imagined. What are you working on for 2014? 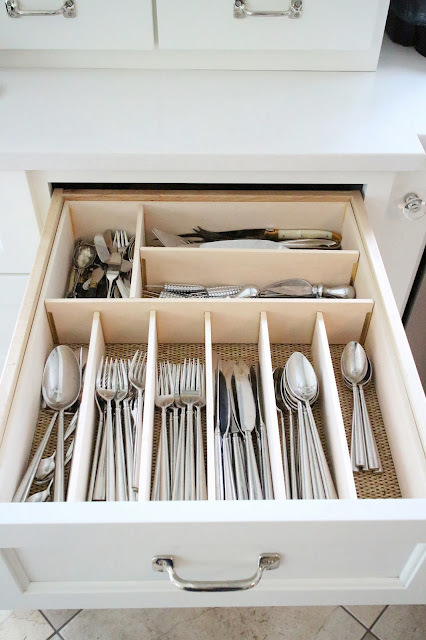 If I could give my house one goal for 2014 it would be storage that works. I’m excellent at purging a space and organizing everything for a pretty reveal but keeping it that way is another story all together. I always feel like there is ample room to grow and adjust in any given space but then one day I look up and realize that I was completely wrong and all my efforts have turned into a stash worthy of hoarder status. So here it is, the proverbial new year’s list of goals/incentives/points of stress/accomplishments or whatever you want to call it. Either way, I’m writing it down which for me means that I will actually work towards accomplishing it. usable storage for my shoes and occasional items like sweaters, shorts, etc. last but not least, paint the freaking living room. I almost pulled the trigger on this project before the holidays but I realized I had just enough time to either paint or put up the Christmas decorations. I chose decorations. More on that later as well. Happy New Year’s my friends!